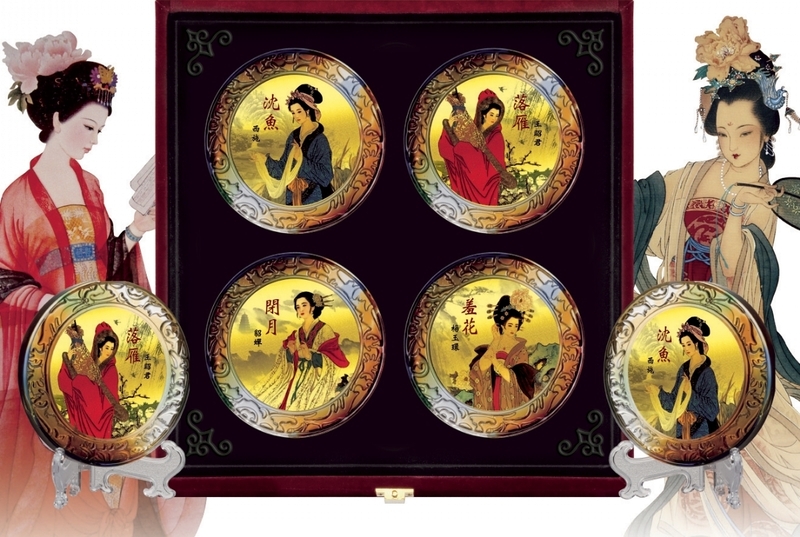 To portray the beauty and elegance of the four beauties, liuli and gold were chosen to compliment each other. 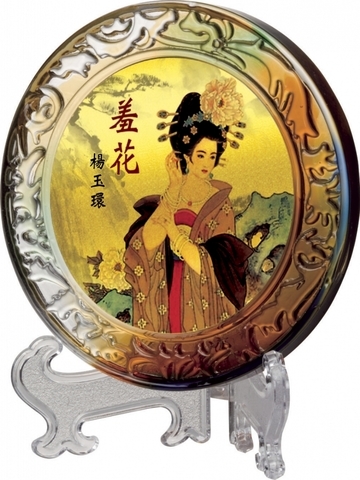 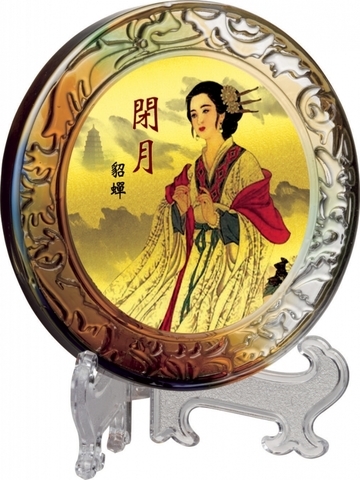 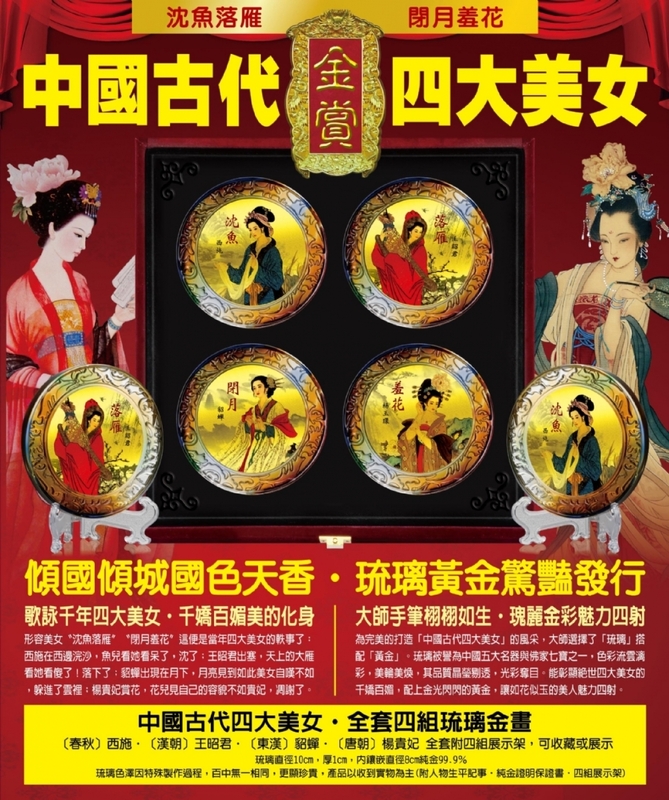 Liuli is herald as one of the five greatest materials of China and gold as treasure. 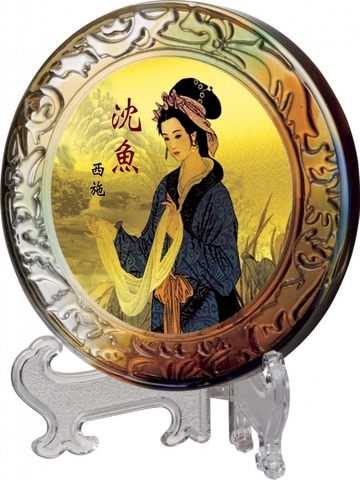 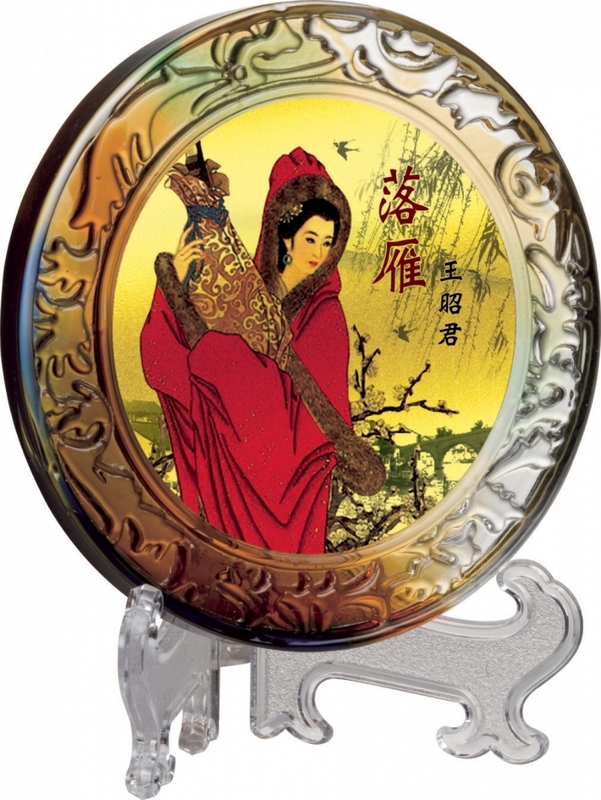 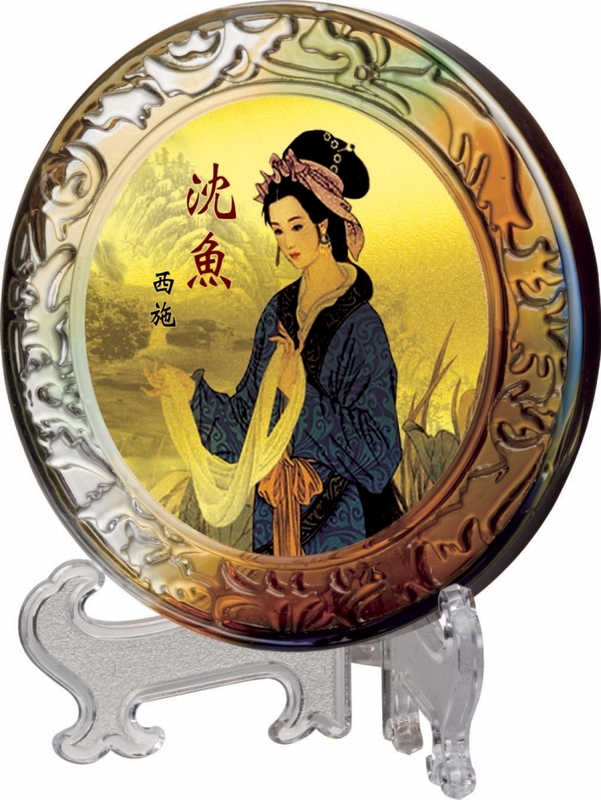 The top four beauties in Ancient China include Xi Shi, Diao Chan, Wang ZhaoJun and Yang Guifei. 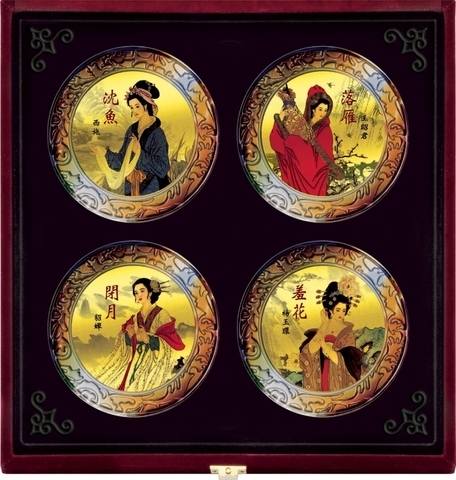 They were famous not only for their beauties but also for unique personalities and breathtaking life experiences.